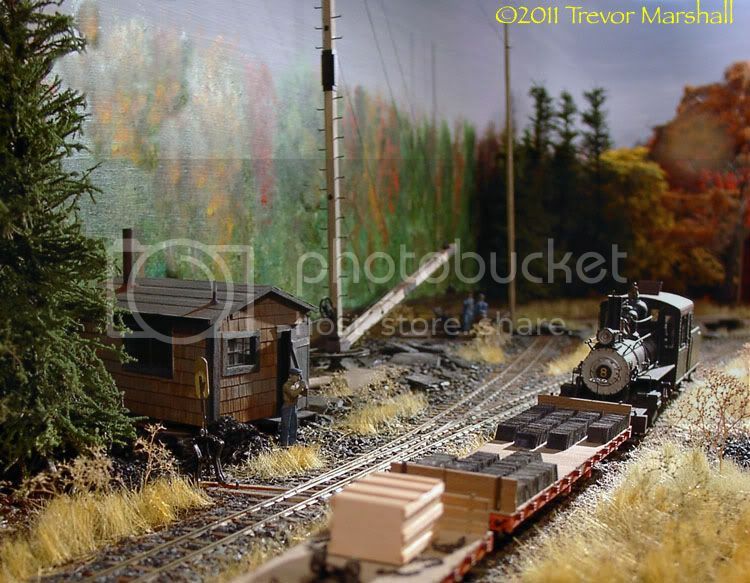 Before I started my current S scale layout based on the CNR branch line to Port Rowan, I modelled a Maine two-footer in On2. 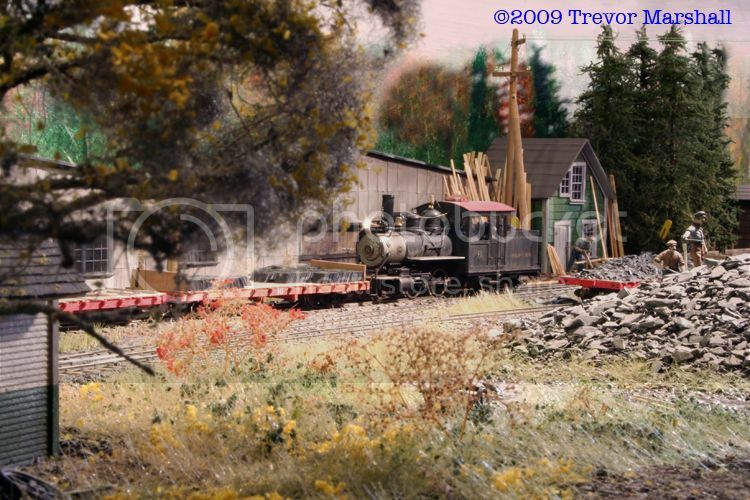 The “Somerset & Piscataquis Counties Railroad” was freelanced – largely because of the oddball availability of locomotives and rolling stock – but it was heavily inspired by the Monson Railroad. 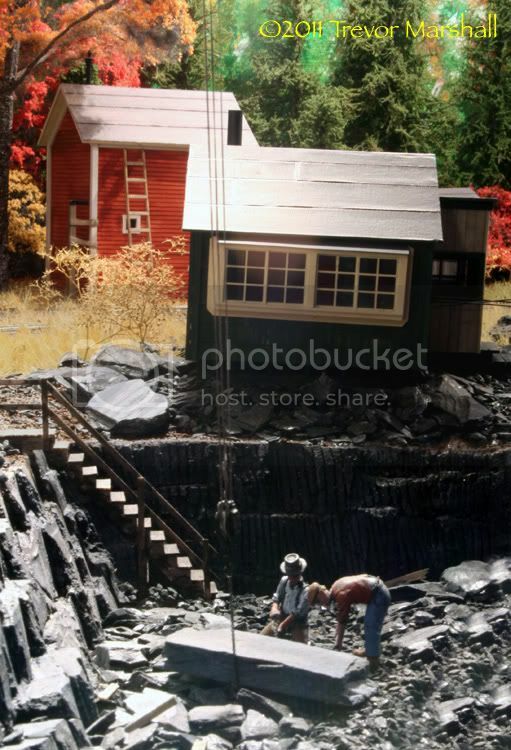 This tiny two-footer existed to serve a slate company in the Pine Tree State – and the first iteration of the layout focused on the quarry and various sheds where slate was turned into everything from roofing slates to curb stones, sinks and electrical panels. – I liked working in a larger scale. Detailing was fun and I could see what I built. – The larger scale also gave me the room required for sound decoders and decent-sized speakers. And sound really brought the trains to life. It encourages operations with two-person crews (instead of one person doing both engineer and conductor roles) and helps slow down the pace of ops. That makes small layouts seem larger than they are. – I found the research involved – even when freelancing – to be a satisfying challenge, and the resulting layout looked unique. – Scratchbuilding structures was also really satisfying – and working within the constraints of a prototype, even when freelancing, made the models even more interesting to me..
– In part because I had to much to build almost everything from scratch, I didn’t need a huge layout to be happily engaged with the hobby. There was plenty to do on the small quarry area to keep me busy. In fact, it was only after started expanding the layout that the scope of the project became an impediment to progress. – The very simple track plan was not a hindrance to operation. In fact, making do with minimal track actually made operations more challenging, without having to resort to gimmicks such as switching puzzles. 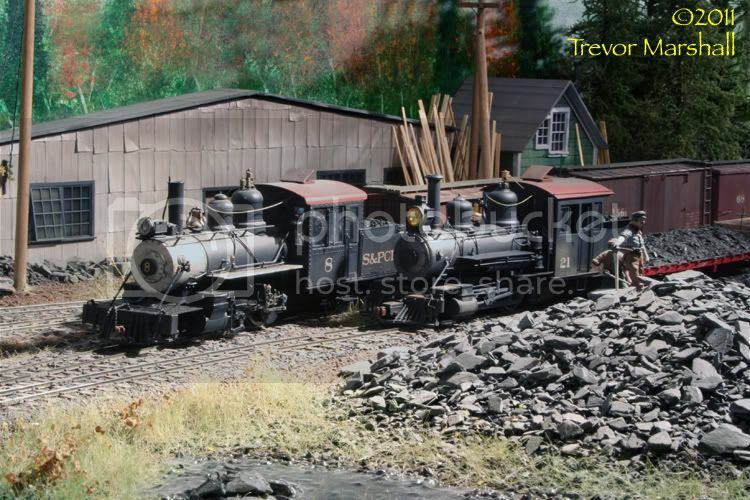 One thing that helped here was that the main building at the slate company had spots inside the shed for eight flat cars, but each car had to be located in a specific spot. This layout really illustrated for me the advantages of industries where spot order is important. Here are some photos of the slate works. 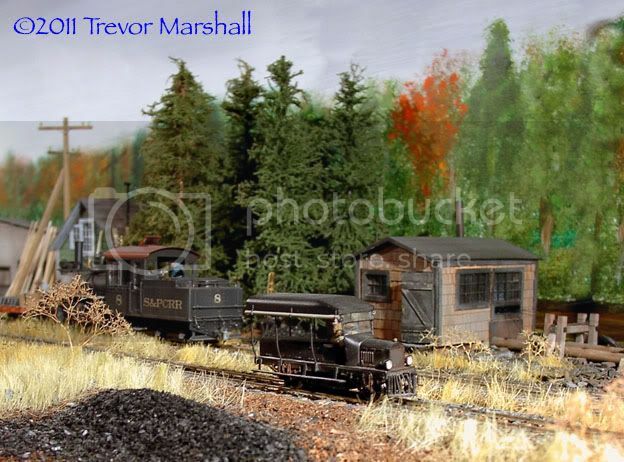 It was a modest-sized layout fed from staging – much like the classic British “fiddle yard to terminal” arrangement. And it was a lot of fun to operate. 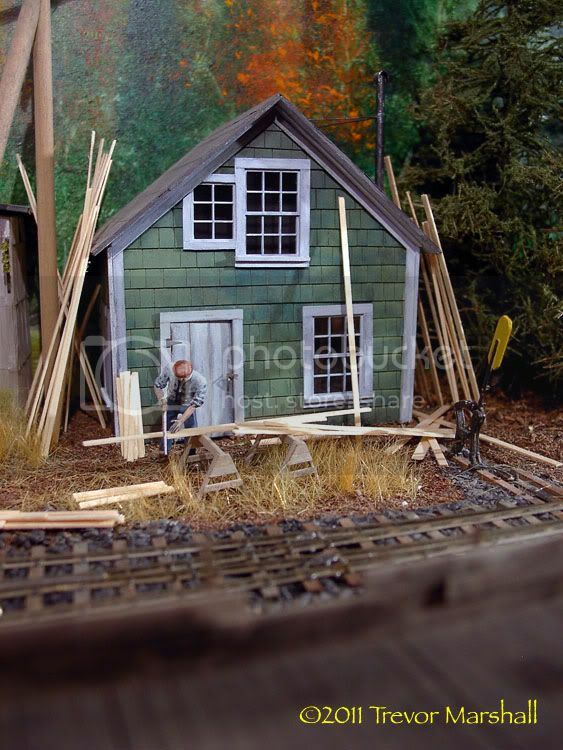 You can read more about my On2 adventures – and find the layout plan – on The Maine On2 FAQ site.